RACGP Aboriginal and Torres Strait Islander Health produced these resources to help give busy GPs and practice teams practical advice that builds on a foundation of cultural awareness. Register for the Indigenous Health PIP Incentive, staff complete accredited cultural awareness training, create a welcoming practice environment. Asking whether someone identifies as Aboriginal and/or Torres Strait Islander can cause discomfort in practice staff; however, evidence shows that patients are comfortable when asked if the reasons can be explained. If patients choose to identify as Aboriginal and/or Torres Strait Islander, they will do so when prompted. Performing a Medicare health assessment for Aboriginal and Torres Strait Islander people (MBS item 715) opens access to an additional five allied health visits. Conducting a health assessment with a patient is an opportunity to build rapport and trust, and to develop an ongoing relationship. In addition to identifying physical health problems, discussing psychological and social functions is an effective approach to two-way communication with Aboriginal and Torres Strait Islander patients. Once a practice is registered for the Indigenous PIP (Step 1), it is able to register patients for the CTG PBS co-payment. 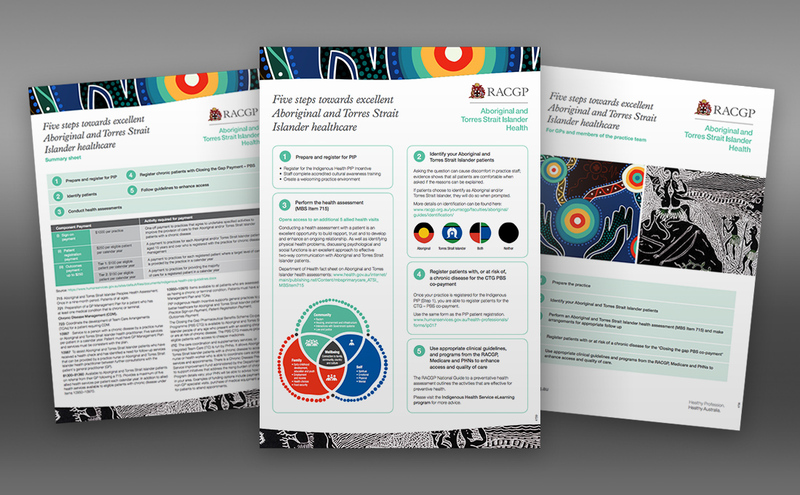 The National Aboriginal Community Controlled Health Organisation (NACCHO)/RACGP National guide to a preventive health assessment for Aboriginal and Torres Strait Islander people (the National guide) outlines the activities that are effective for preventive health. More information is also available in the Australian Indigenous Health InfoNet Indigenous Health service eLearning program. Other resources in the Five steps towards excellent Aboriginal and Torres Strait Islander healthcare include a Five steps guide, which features detailed information to support GPs and practice teams to access programs and funding options; a quick reference guide to MBS items, policy and programs; and a Five steps visual poster, which is a condensed version of the five steps that can be displayed in a practice. 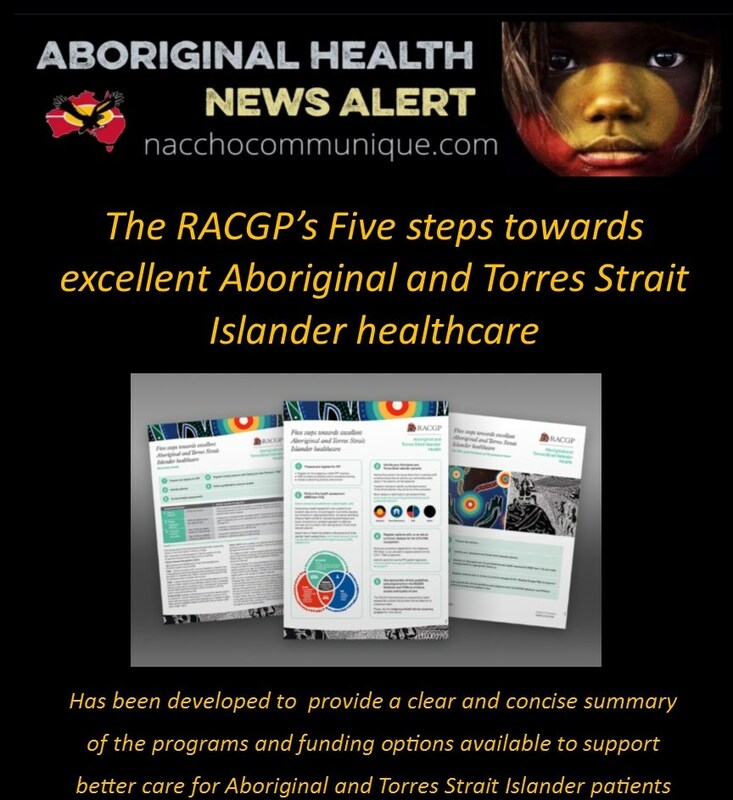 The RACGP will also be developing supplementary resources throughout 2018 to support GPs to implement the five steps in a way that achieves the best outcomes for practices and Aboriginal and Torres Strait Islander patients. First published in newsGP. Reproduced with permission of the RACGP. THE AUTHOR: Mr Paul Hayes Paul is an experienced healthcare journalist and the editor of newsGP.